There is a new Hostess Code to use when shopping with me over the course of the next month or so. 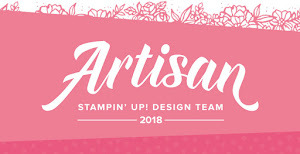 Using the Hostess Code means that you will get a little bit extra Stampin' Up! goodness direct from me. Enter my current code as shown on the top right hand side of my website and your order gets collated with all the other online orders. Your order is processed as normal, shipped to you as normal. But at the end of the month when I close the code I calculate the Rewards of all those who shopped with me during the month. Then I have a little shopping spree buying gifts for you :) This month my customers are receiving *Reserved for Hostesses* stamp sets !! So don't miss out on extra presents, remember to use my code at Checkout.